So of late I’ve been on a bit of a home automation binge. I’ve added a bunch of Philips Hue bulbs around the house along with some smart switches and light sensors. While you can integrate these in with a first party Philips app, Apples HomeKit, or Google Home and configure some pretty interesting stuff including timers, IFTTT triggers, & voice control - I wanted some very specific behavior for the backlighting strip I installed in my home-office that would require some manual hacking. 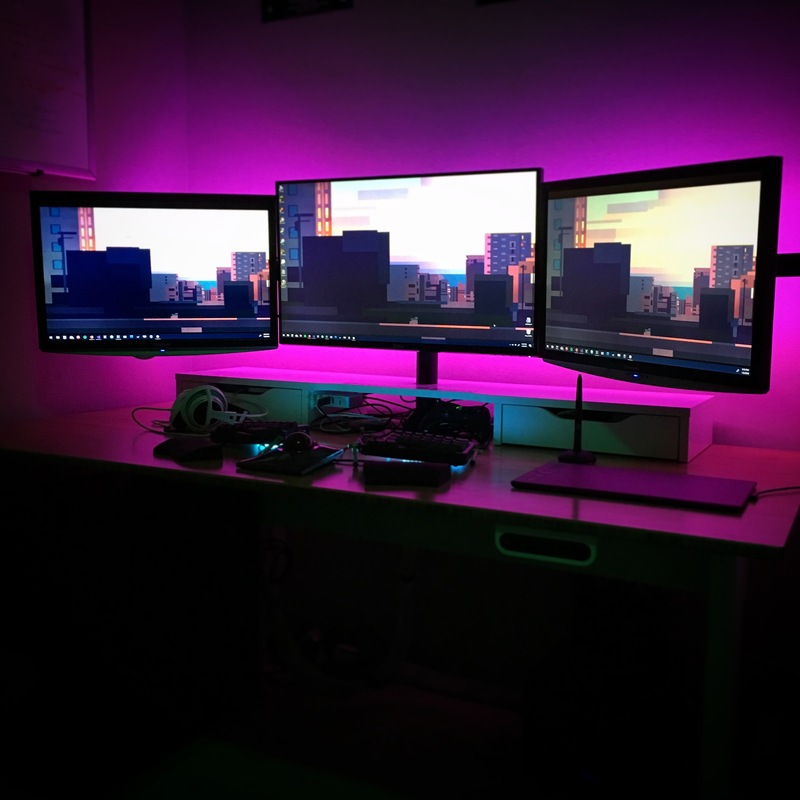 Specifically, I wanted the strip light to switch on and off automatically based upon whether my desktop PC was powered on or asleep and since the Philips Hue accessories can be fully controlled via a JSON API, it was pretty simple to whip up a quick c# script to accomplish this. I’ve included the full source below, but the basic jist is that the script is set to run as a windows Startup item & listens for power events and tells the Hue Bridge to toggle the specified light based on whether the PC is powering off or waking up. As part of work I recently had a chance to participate in a 3 day game-jam. In the past I’ve always steered clear of game jams because the ideas I’m usually interested in building have no way of being realized within the time limits. 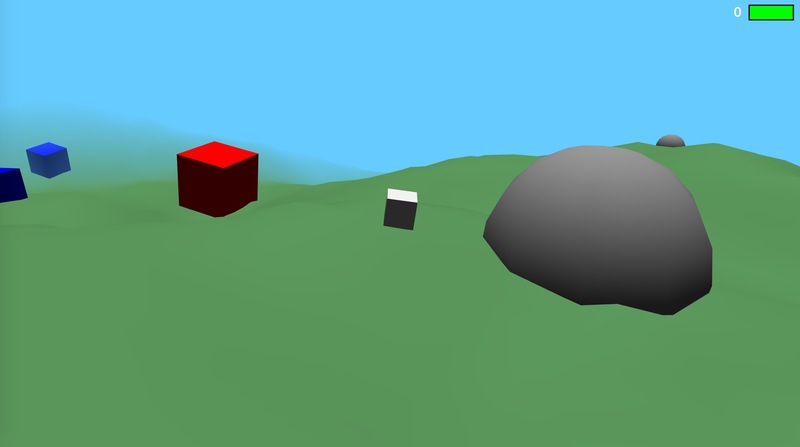 This time however I decided to give it a shot and decided to build a 3D game in the browser using webGL. 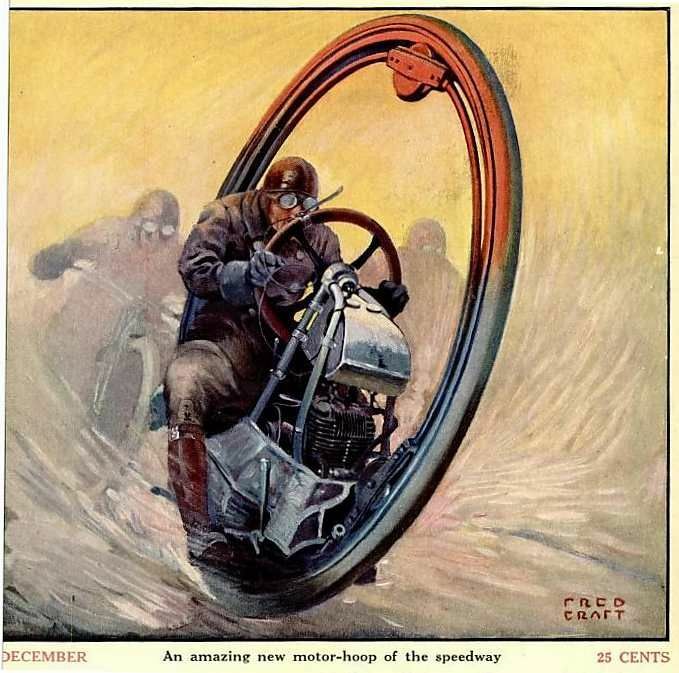 The initial idea revolved around driving a robotic rover that could transition from multi-legged movement into a crazy monowheel (inspired by a desert spider that does backflips to evade predators). I didn’t really have many gameplay ideas in mind other than trying to make it a fun and satisfying experience to just cruise around and get used to the weird locomotion mechanics. I figured if I got as far as having terrain generation working and a competent third person camera set up by the end of the jam that I would have exceeded my expectations. With this in mind, I put together a nice WebGL starter framework based on the Component Entity System pattern - the really great thing about this pattern is that it completely separates state from logic - meaning that with the help of Webpack, one can implement hot reloading of all game logic while the game is running (without resetting the current game state). This is really cool and makes it easy to iterate on systems and effectively build the game while it runs. Check out the GitHub repo if you’re interested in finding out more. 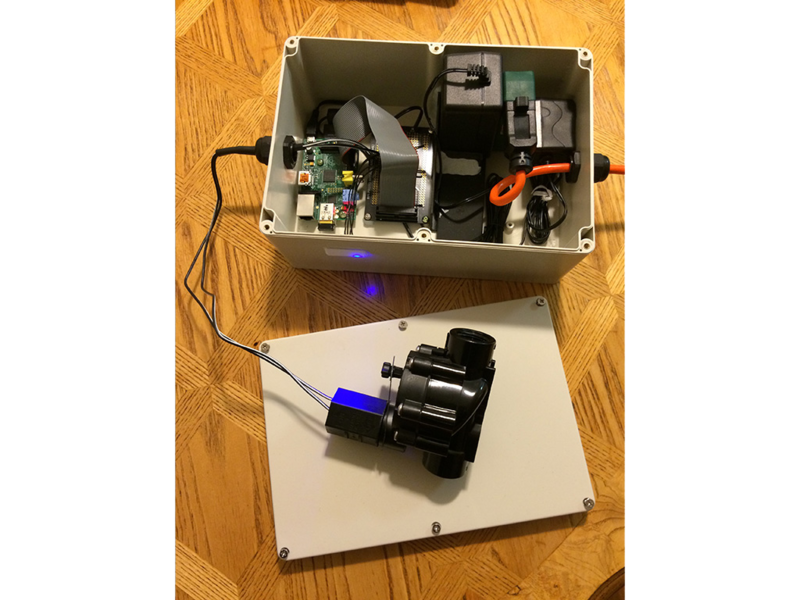 Now that you have an idea of what I wanted to build, and how I went about building it - check out what I actually ended up building, subject to the constraints of time. While its not the most fun game in the world, I’m happy with how it turned out and I have a new appreciation for the effort it takes to convey a fun sense of motion through controls, physics, and a camera. While I’ve always been interested in electronics, I mainly got into software because software affords the flexibility to make mistakes. The cost of failure is low and there is room for experimentation without the risk of wrecking anything expensive (most of the time). While this is great, I always get the gnawing feeling that somehow the things I build are less real, or least less understood than building physical objects. At the very least, hacking away on a keyboard is much less romantic than hammering & soldering in a workshop with some high voltage apparatus. So for someone like myself, the appearance of low cost general purpose computers such as the Raspberry Pi has been really exciting. 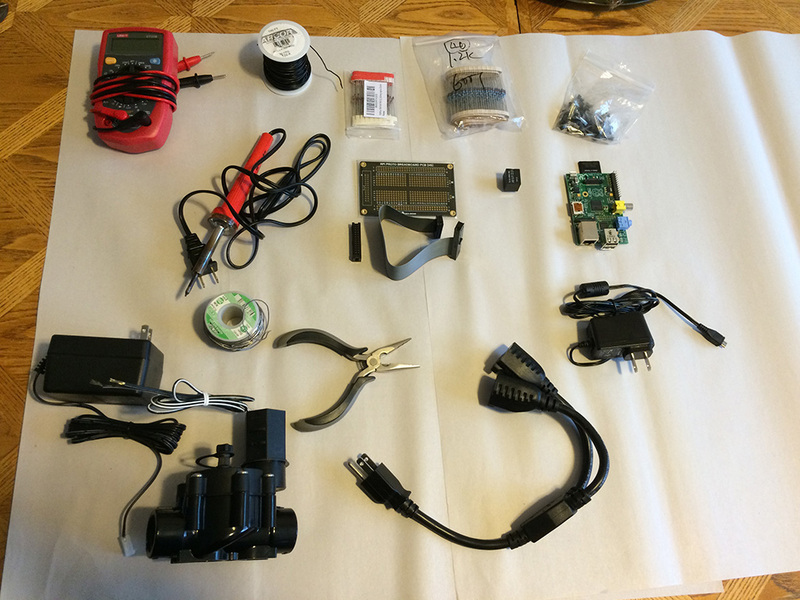 It lowers that cost of failure in electronics and allows a pathway for bringing things I build into the physical world. 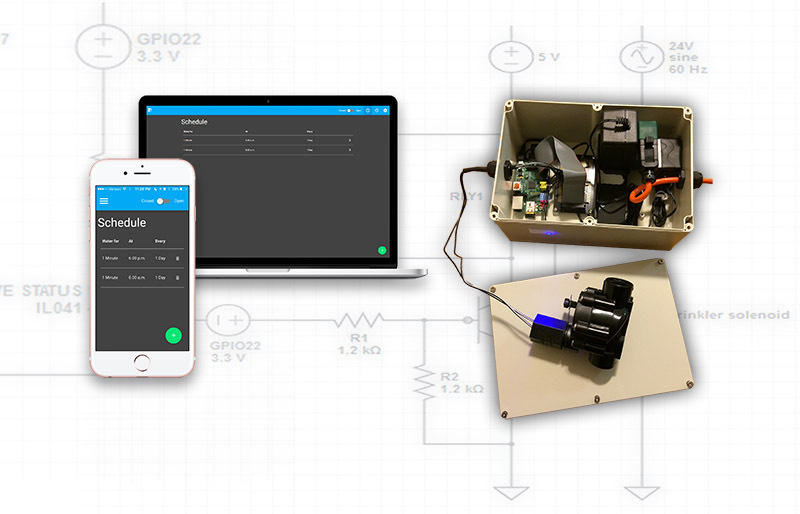 The thought of building something that was more than just software has been eating up real estate in the back of my mind for some time now, so I finally decided that I would make my contribution to the Internet of things. As someone who has began dabbling in gardening, and has also had to weather (pardon the pun) high water costs due to Californias drought - I decided to build some sort of intelligent drip irrigation system that would only water when weather conditions required it, saving myself the time of daily watering, and also some water (and $) in the process. The general design I came up with was to use the Raspberry Pi running a web server, this server would host a web interface and a scheduler and would control a solenoid water valve attached to the Pi. 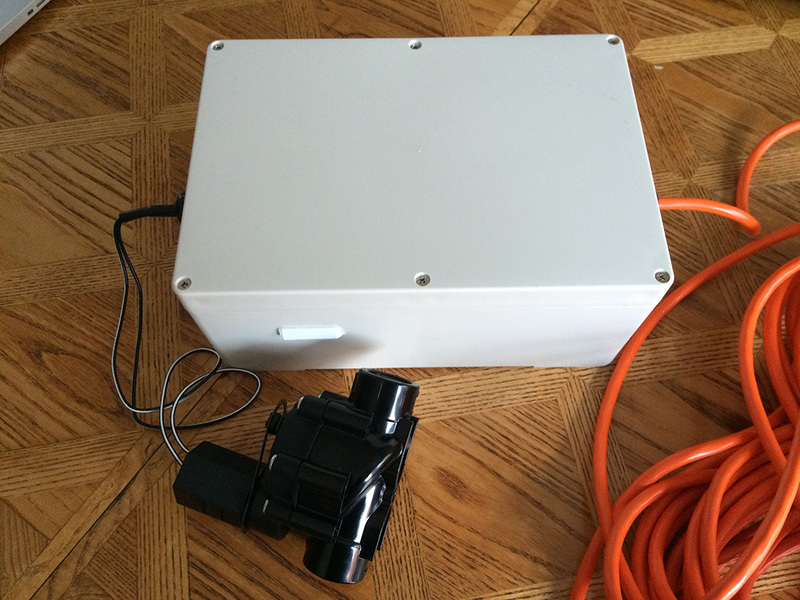 I’d place the completed device in a waterproof enclosure attached to the water supply a set of drip irrigation piping. With this in mind I put together my initial shopping list. I decided to use a 24V AC relay as it is the most commonly available solenoid valve. This meant that I was going to need to devise some control circuitry as the Raspberry Pi runs at 5.5v and its GPIO ports can only supply 3.3v so I wouldn’t just be able to hook it up directly. 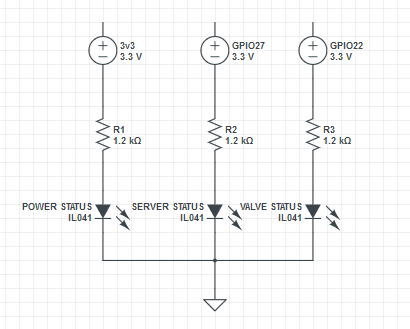 The way I did this was to use a relay that would activate when 5v was put across one side, this would be used as a switch to control the 24vac switch. To activate the relay I used a transistor with the base attached to one of the Raspberry Pi’s GPIO ports - the 3.3v is enough to energize the base of the transistor, which would complete the circuit to ground providing the 5v across the relay, letting us switch the solenoid via a single GPIO port being on/off. The circuit diagram for this is shown below. As a last minute addition I noticed that once all the components were sealed away there would be no way of knowing if it was running or what the software was doing, so I decided to add a set of 3 status LED’s. 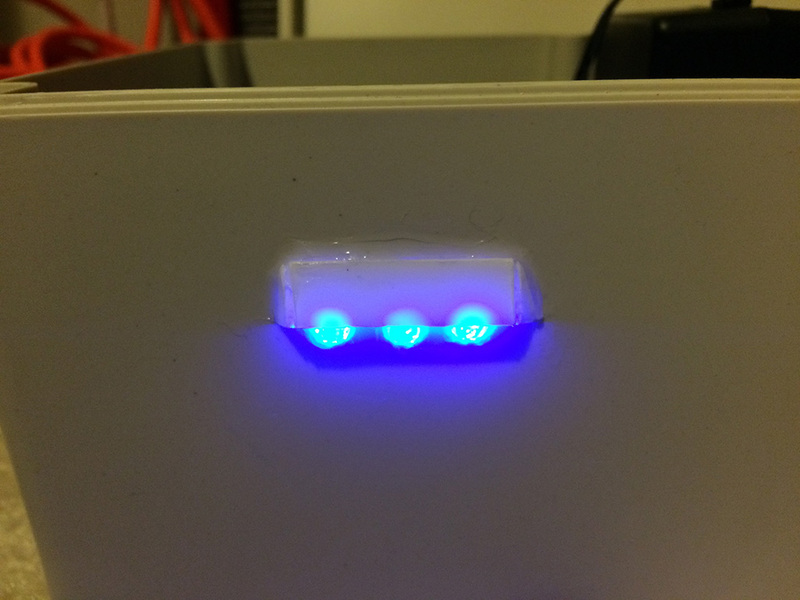 One LED would indicate power, one would indicate that the server software was running, and the 3rd would illuminate when the solenoid switch was activated. 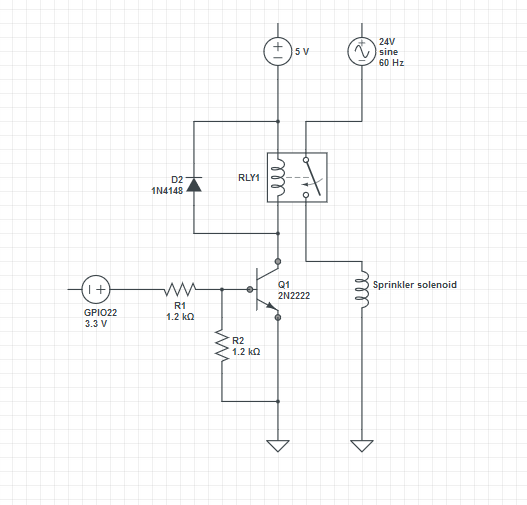 The circuit diagram for this is shown below. 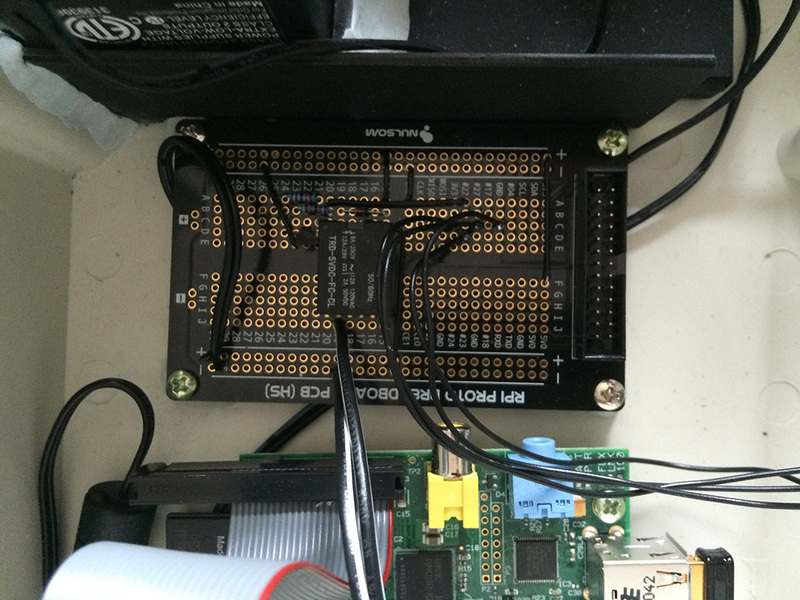 To control the GPIO ports I used the onoff library which makes it simple to set the state of any of the Raspberry Pi’s GPIO ports. I wrote the following test script to test my initial circuit. 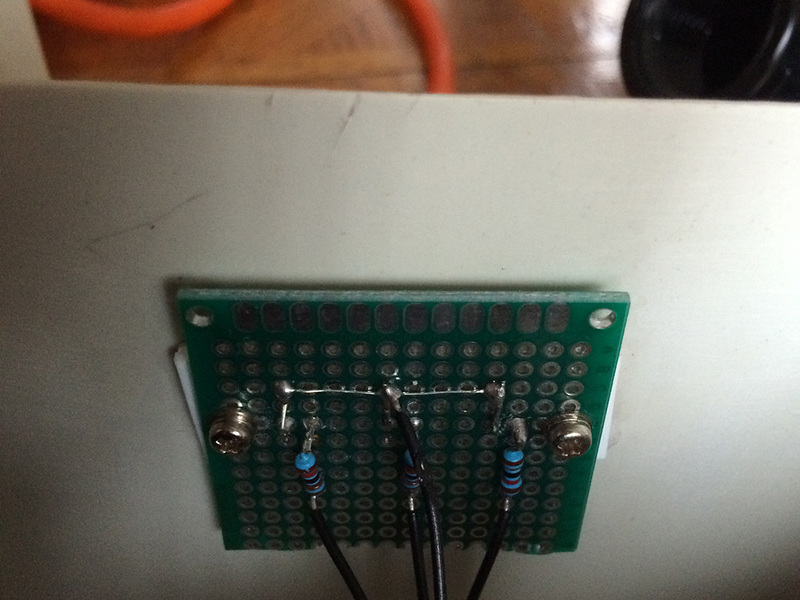 When running it toggles GPIO port 22 once every second, which meant that once I attached the circuit above, I should hear the relay click on and off once per second like a metronome. Initially nothing worked, I found after some multimeter testing that I had soldered the pin header on backwards so none of the outputs were going where I expected them to. After filing off the notch key on the parallel cable connecting the Pi to the protoboard and plugging it in the other way, everything worked! The relay clicked happily every time I ran my test script. After determining that everything was working, and with the help of some epoxy cement, superglue, silicon sealant, and some old parts from a PC case I got everything attached securely into the plastic enclosure and added waterproof cable glands to the entry points for the power and solenoid cables. 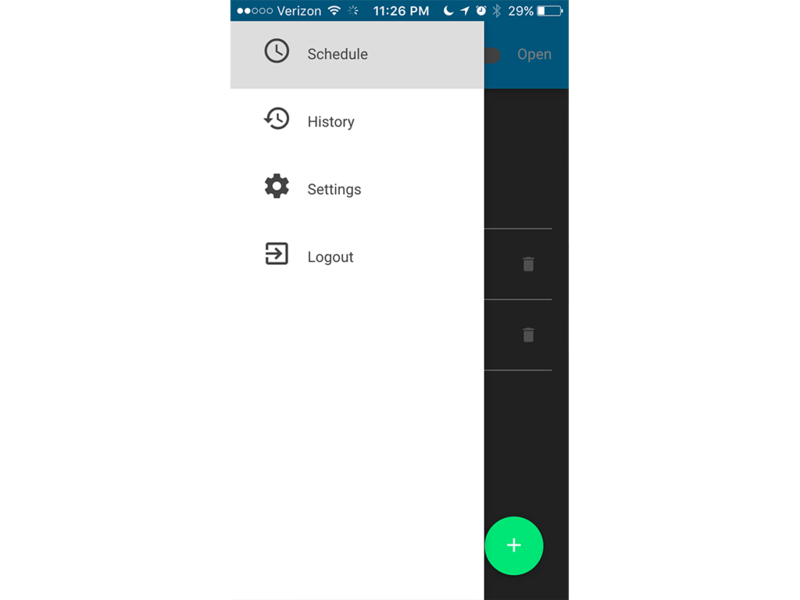 The main schedule screen on an iPhone 5s. 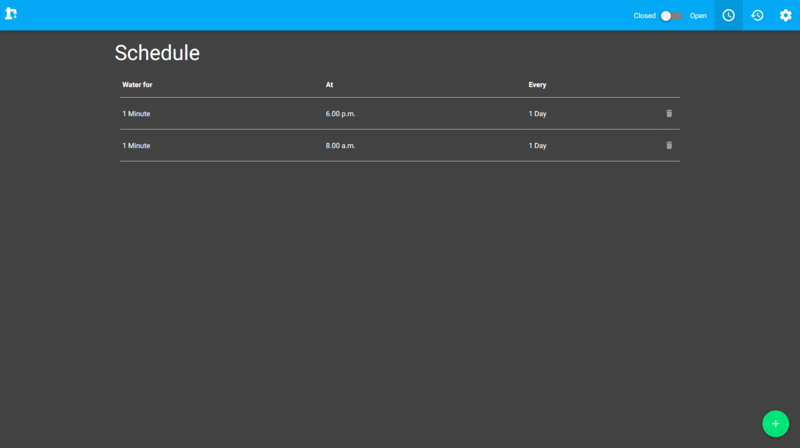 As mentioned previously, the idea was to build a server that would run a scheduler and a web UI, so you can set up an automated schedule as well as control the device directly from a PC or smart phone. To put the web UI part of this together I used React.js, Redux, and MaterializeCSS on the front-end, and an Express based http server on the backend. With these together I was able to put together a nice responsive interface in a short amount of time. 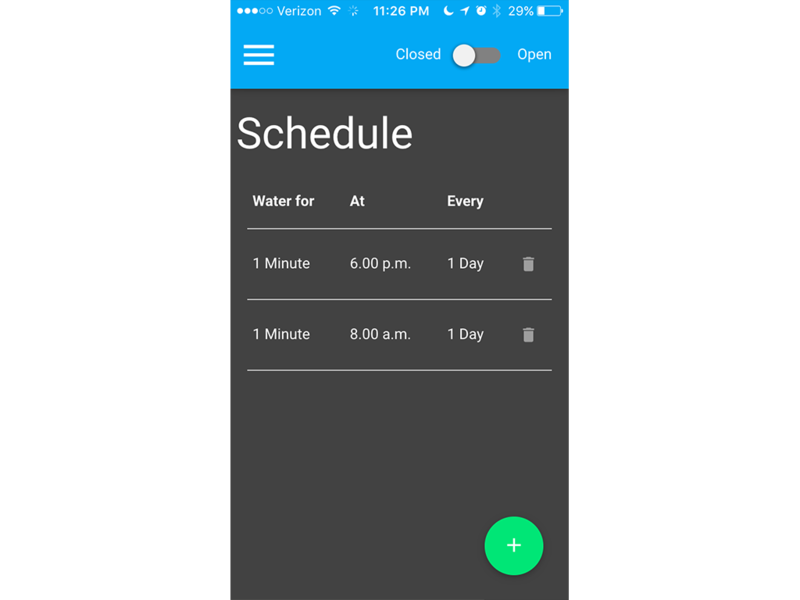 The most complex part of the UI was implementing the configuration interface for the weather based intelligent watering (I didn’t want to water the garden if it was already raining). 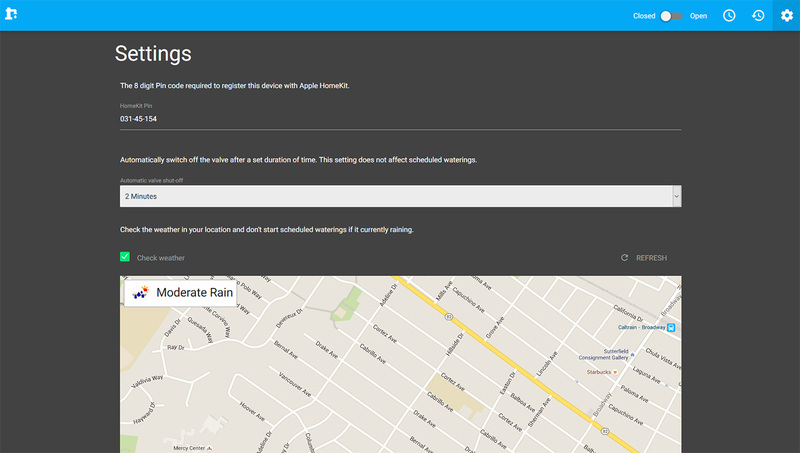 To do this I used the Google maps API along with the HTML5 geolocation API to determine the users current location when they elect to switch on intelligent watering in the settings. With this I could collect the users latitude and longitude coordinates which I could pass into the OpenWeatherMap API to determine the weather in the users area. 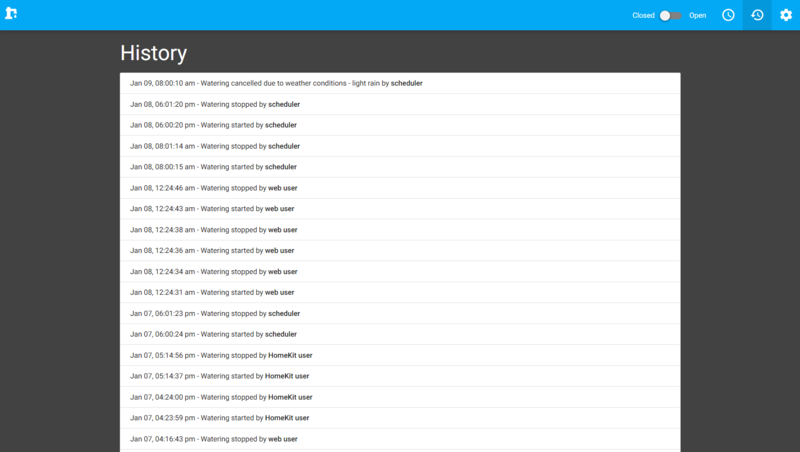 In addition to the web UI I implemented a scheduler which wakes up periodically to see if the user scheduled any waterings for the current time and runs the valve for a preset interval, unless of course intelligent watering is enabled, in which case it checks if its already raining and if it is, it doesn’t bother watering. 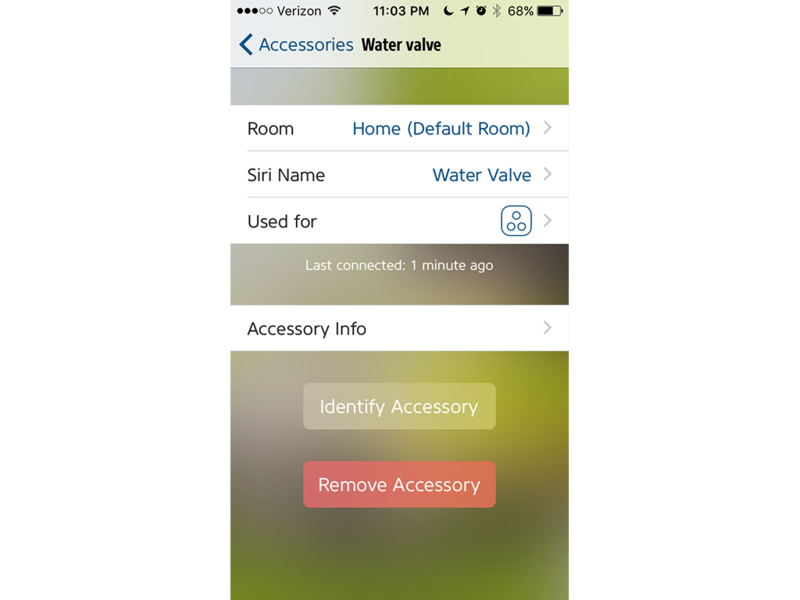 While having an intelligent watering device with a webUI was pretty cool, I wanted to take it to the next level by adding integration with Apples HomeKit, and enable voice activated control via Siri. 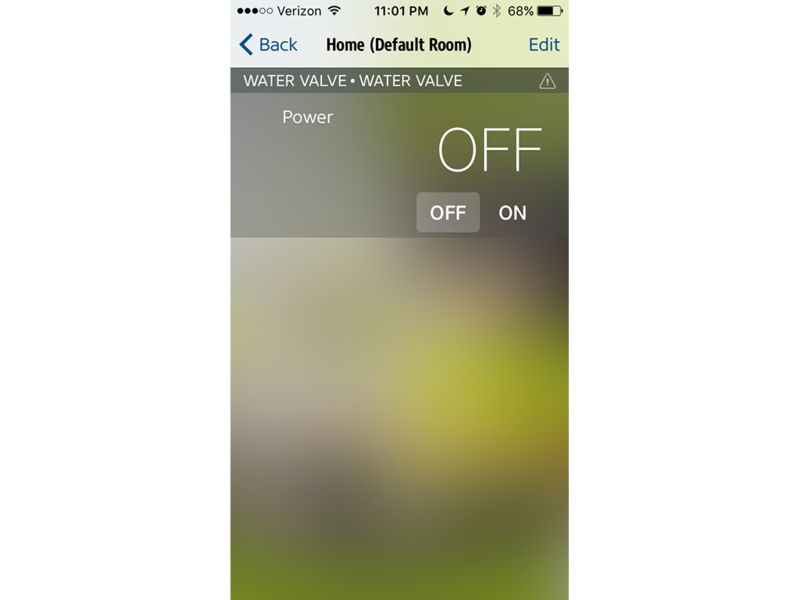 For this to work I needed to implement a server that implemented the HomeKit accessory protocol. Luckily theres a really good library for Node.js called HAP-NodeJS which makes this a fairly simple process. 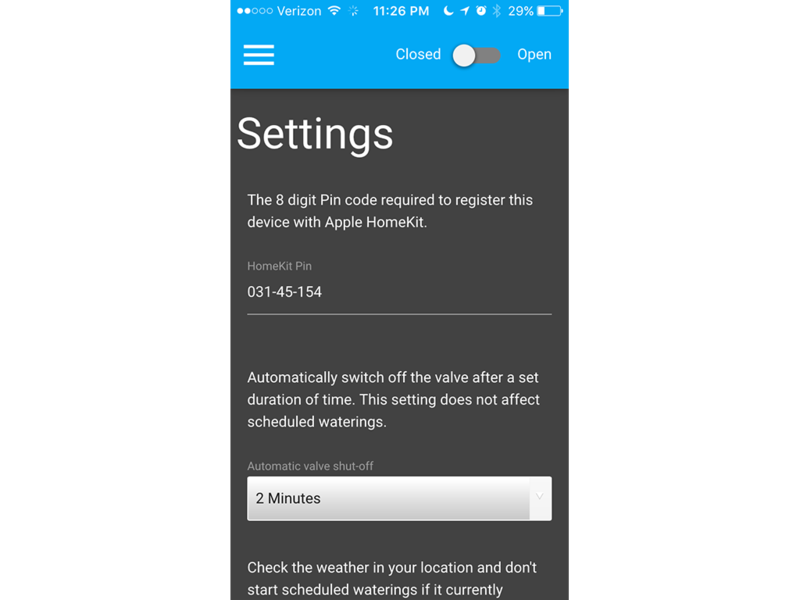 You need to feed into it some configuration information about your accessory, and provide some callbacks into the HomeKit events such as toggling the power status. The second step is that you need an app to add the accessory to your HomeKit ‘home’ (For some reason Apple don’t provide a built in app to do this), so in order to do this I downloaded the free Elegato Eve app. I can’t really speak to its quality for the more advanced HomeKit features, but its free and it did what I wanted which was to register my accessory with HomeKit, so I could use Siri to control the valve. 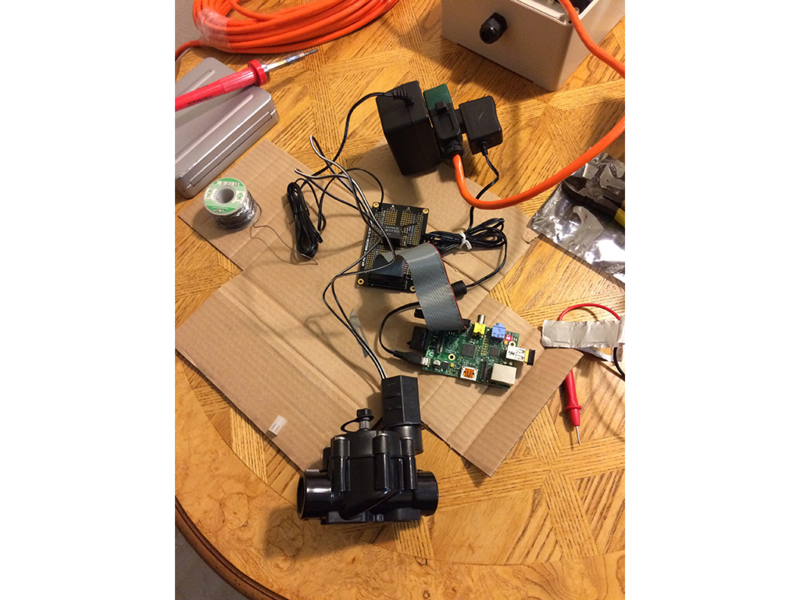 Adding the accessory was simple - once I had the Hap-NodeJS server running on the PI, the water valve showed up as an accessory in the Eve app which I then added to my ‘home’. 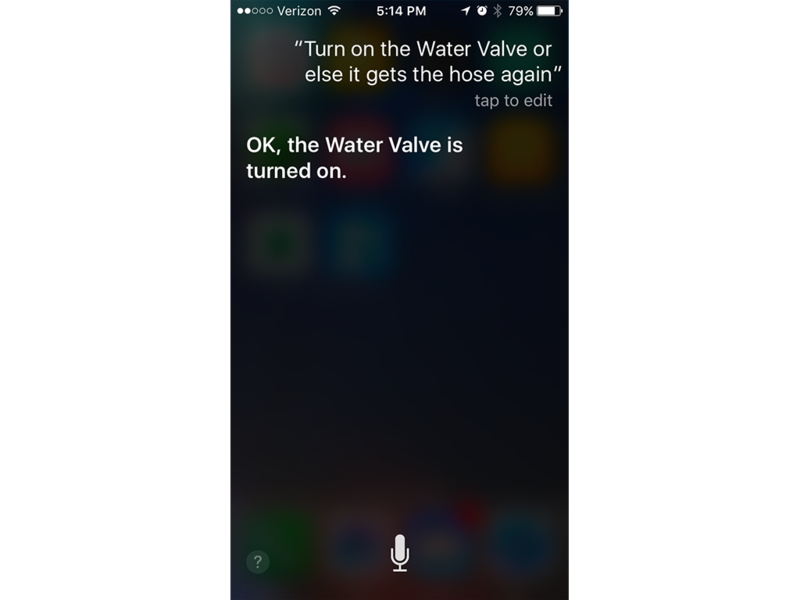 Once I did that I could tell Siri to switch the valve on and off, and it worked! Uncaught Error: Invariant Violation: addComponentAsRefTo(...): Only a ReactOwner can have refs. This usually means that you're trying to add a ref to a component that doesn't have an owner (that is, was not created inside of another component's `render` method). Try rendering this component inside of a new top-level component which will hold the ref. The reason for this is that your components library, and your parent project both have thier own locally installed dependency on react, and when you load the unit tests your library components are using the copy of react from the component library, and your parent project is using its own copy of React. React doesn’t like it when you load multiple instances of it at once, and you’ll see the above error when you do. Usually when installed via npm install, this isn’t a problem as the components library probably declares react as a peerDependency, and would rely on the parent projects copy - but when using a development copy using npm link the component library probably has a copy of react installed locally as a devDependency, leading to duplicate copies of React and the problem described above. After struggling with this issue, I found a workaround that doesn’t involve changing the library or parent project considerably, so I thought I’d post it here to help anyone who has this issue in future. Include this file before you require or import React and the error will magically go away. The easiest way I’ve found to include this is to have a single file index.js which exports all your libraries components, and in your package.json add the file below as loader.js and set it as the “main” file. This file should then, after patching the loader, require index.js. This way you don’t have to change any of your component code. // loaded from the parent instead. One caveat to note is that if you are building a distribution of your components library using webpack, you’ll have to conditionally exclude this code from running by using a conditional and the webpack DefinePlugin otherwise webpack builds will fail due to not being able to load the ‘module’ module. Through a complicated and not particularly interesting sequence of events I’ve ended up with a few weeks of (f)unemployment in between my last incredible journey and my next job. Rather than let this opportunity go to waste I’m planning on filling my time with a few projects I’ve been meaning to get around to doing. 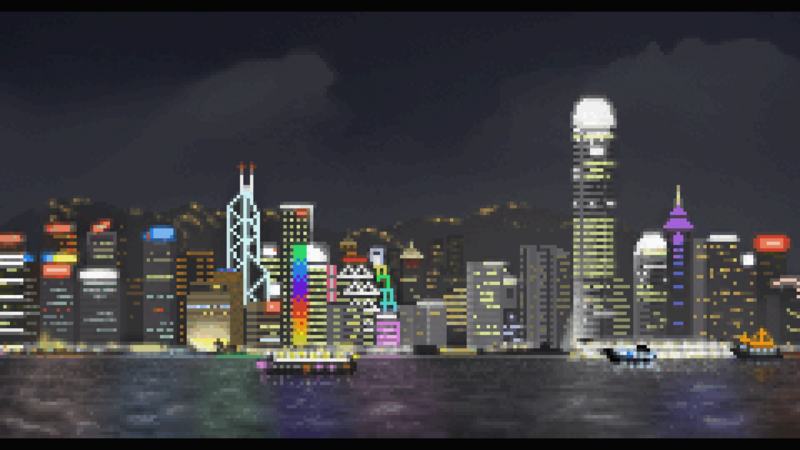 Heres project #1 - my attempt at a pixel art rendering of Hong Kong. Who is getting all teh lolz? why do people split movies into 700mb blocks? Regarding silverlight, services and somesuch.